Are you ready for a fierce battle in an ultra-deathmatch!? Who is the greatest hero in the world? You will find out today! A scientist has created a time machine that eight heroes will travel through time with to prove who is the greatest fighter of all time! 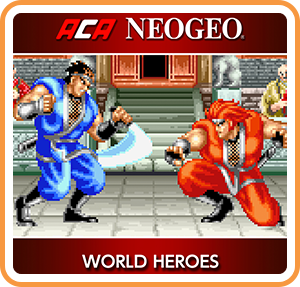 Where can I buy ACA NEOGEO WORLD HEROES physical/digital?